Since the dawn of time, men and women have shunned common utensils in favor of chopsticks. 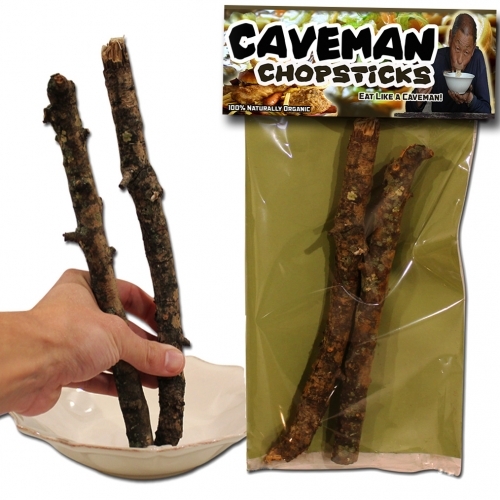 Caveman Chopsticks let you take the paleo diet to a whole new level. 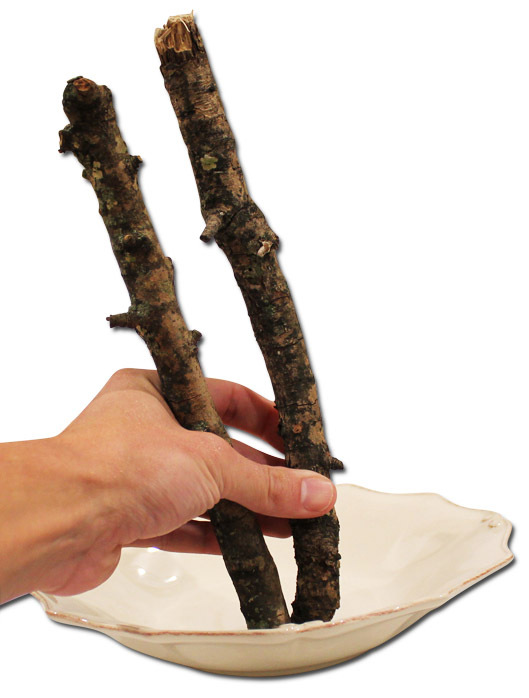 Forget about the dainty chopsticks you’ve grown to know and love, and get back to nature with Caveman Chopsticks. Your ancestors got out their primitive woks, cooked up some saber toothed tiger, and chowed down with chopsticks just like these. Is it easy to eat things with them? No, but nothing your ancestors did was easy. If you want to get back to your roots, then put down the traditional chop sticks and enjoy the thrill of Caveman Chopsticks. There is one thing that separates humanity from the rest of the fauna on this great planet. Our ability to use chopsticks. Chopsticks are the pinnacle of human evolution, and it can be traced back to the caveman. While they dodged mastodons, they were using Caveman Chopsticks to eat their food. Why? Forks are for losers, brah. 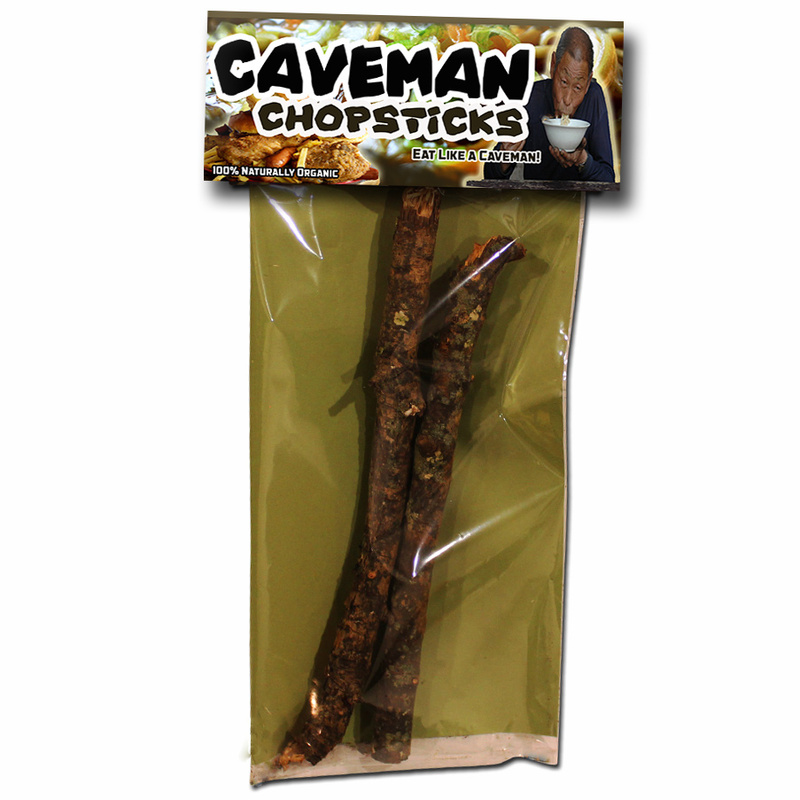 Who would love Caveman Chopsticks? Do you know anyone on the paleo diet? They’ll love trading in their forks and knives for the traditional Caveman Chopsticks. They’re also great for anyone who has become an expert in chopstick use and is looking for a challenge. Good luck picking up some noodles with these bad boys. They require patience and concentration. These are for chopstick masters. I can’t figure out traditional chopsticks, should I use these? Caveman Chopsticks are an interesting conundrum. They take more practice, but are, at their heart, simpler than traditional chopsticks. If your goal is to master the chopsticks, then starting with these will end up making traditional chopsticks child’s play. Why start on the B-team when you can cut your teeth on the A-squad. These just look like two sticks, WTF? Of course, they’re two sticks. Do you think cavemen had the luxury of whittling their own chopsticks? This isn’t the bronze age, people. These are 100 percent reproductions of the original Caveman Chopsticks used billions of years ago. You may see only sticks, but we see a proud tradition carried down from our ancestors and passed on to you.